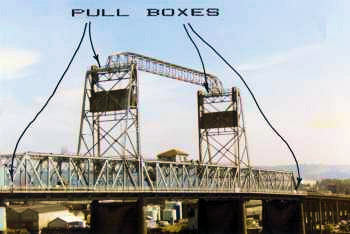 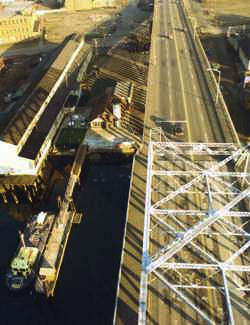 The Pull-box shown below is at the NE corner of the bridge. 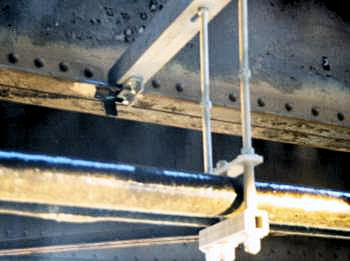 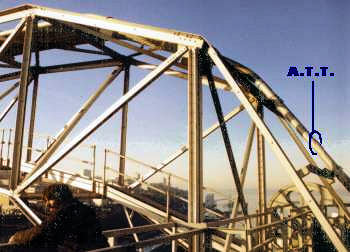 The Conduit Hanger abpve, is suspended from iron work that we had to install and clamp in place. 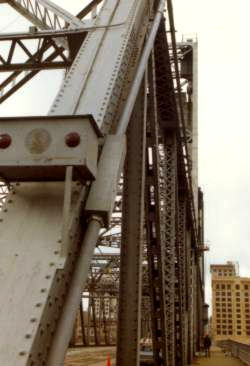 No holes are allowed on steel bridges.